There is a federal election on today in Australia. It will be very close, as elections here often are. Usually, in a close election, the government hangs on, but you never know. It has been a dreary, unedifying election campaign, which is also as expected. Even so, it is something wonderful and precious thing to take part in choosing the government. It is also something I like about our community: the actual voting is invariably peaceful. I have never heard so much as an angry word exchanged at a polling station. There are no police present – they are not needed. The people handing out how-to-vote cards might be a little frosty with each other, but that is about as bad as it gets. Everyone queues up patiently, chats amiably. The ballot boxes are made of cardboard – no need for metal or padlocks. Regardless of the result – even if we end up with a hung parliament – there won’t be riots, there will not be armoured cars patrolling. It is easy to take these things for granted, but we shouldn’t. This is not a natural state of things. Free elections which might cause a change of government, and which carry no risk of violence – historically, these are a very recent development. Even in the modern world they are the exception. So, I am thankful for Australian democracy, even if many of our people in public life rather lack personality. Someone who certainly didn’t lack personality was Lloyd Price. I only knew him for his biggest hit, “Personality”, which you still hear played on golden oldies radio. It’s a fine pop song, beautifully arranged and Price sings with a warm rich voice. It is a delight. 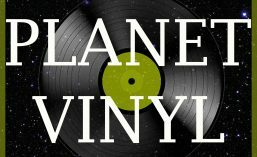 But on Planet Vinyl we shy away from things you might hear on commercial radio. If it’s the golden hits you want, you are on the wrong planet. We are going for the B-side, “Have You Ever Had the Blues”. It isn’t really a blues – much too cheery for that, and lyrically lightweight – but a fine, danceable, singalong soul-tinged number. This is one battered record. Just look at it! This disc has been to many a party, bounced down the stack of many a radiogram, and from the look of things survived being attacked by a child learning to write. It needed a good clean, but plays surprisingly well. The vinyl of 1959, like the music is carried, was made to last. It is getting late in the evening, and the election is still undecided. One way or another, one of those guys in suits who lack personality will end up having the blues. This entry was posted in 1950s, 45 rpm, 7", Pop, Soul and tagged Australia, Battered records, Elections, Lloyd Price, Politics, W&G (label). Bookmark the permalink.